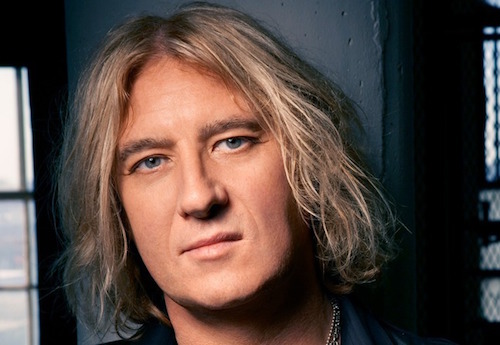 Def Leppard frontman Joe Elliott spoke with Steve Baltin of Forbes. Excerpts from the interview appear below. Baltic: …For me, I got into Def Leppard during Pyromania, so that will always be the seminal album for me. Elliott: I got into David Bowie during Ziggy Stardust and then backtracked to Hunky Dory, which I adore, but I still can’t get past the fact that I discovered Hunky Dory because of Ziggy Stardust. I discovered Man Who Sold The World because of Ziggy Stardust, then I bought Aladdin Sane, which I loved to death, but I only bought it because I got into Bowie on Ziggy Stardust. So everybody has got their anchor to whatever artist you love. When I look at a band like the Who, I don’t have a specific record because the Who were a band that was already there and then I started to buy their records, so it’s a toss-up between Who’s Next, Quadrophenia, Tommy and all that kind of stuff. It all depends who you’re talking to, I speak to worlds of musicians in band[s] who prefer High N’ Dry to anything we’ve ever done before. It just depends when you catch people. From a commercial point of view, from an artistic point of view, from a pushing the envelope point of view I think Hysteria trumps all of them up to that point. Baltin: Do you feel more attached to that album because it was just so hard to make it? Elliott: It just took a long time to make it, so it was drilled into our DNA. I made a couple of albums for my side band, the Down N Outz…It was painless, it was easy…But Hysteria we were on it every day for two years, longer even. So it becomes way more engrained in your DNA than say even Pyromania. The first album took three weeks, High N’ Dry took about three months, Pyromania took about nine, Hysteria took two and a half years. Adrenalize probably took two. Those records, because you are on them day in, day out, stick with you, they give you more stories, they give you more things to talk about. If somebody said to me we’re gonna spend half an hour talking about High N’ Dry I would run out of things to say because I don’t remember. With Hysteria it’s all those things because of the time factor involved in recording it and because of what it became. I’m not musically comparing it to Hotel California or Rumours, but, to our audience, it’s that kind of record that has lasted the test of time. Baltin: Def Leppard went through so much and came out the other side. After seeing what happened to Chester Bennington and Chris Cornell is there any advice you have for artists on how to deal with the music industry and fame? Elliott: Musicians face pressure from outside of your own brain to deliver all through your career. It’s hard for kids and then it gets harder in your thirties because you have a legacy to follow and then it gets harder in your forties when you have family commitments or whatever. I don’t give advice because what works for me wouldn’t work for you, wouldn’t work for Chris Cornell, wouldn’t work for Chester Bennington, wouldn’t have worked for Mama Cass, Jimi Hendrix, Kurt Cobain, nor anybody else who died by the age of 27. It’s nothing new. It didn’t work for Steve Clarke. The path to Rock N’ Roll glory is littered with casualties, absolutely. It’s not like the great Joe Elliott speaks and everybody goes, “I want to stop taking drugs now.” When you look at our band we’ve got two casualties, we lost Pete Willis to alcohol, but he didn’t die. We lost Steve Clarke to alcohol and he did. Then you look at somebody like Phil Colleen who’s 30 years sober, 26 years a vegetarian or the other way around, now a vegan, he’s like the fittest almost 60-year-old man you’ll ever meet. We’ve conquered a lot of negativity in our career to keep going, having watched some people, including our own, fall by the wayside. So advice, to me, is a minefield of a word. And it’s not something I readily throw out there because it doesn’t always work with whoever’s reading or listening to what I’ve got to say. Def Leppard released their special 30th anniversary editions of Hysteria on August 4th. Additionally, guitarist Phil Collen recently told Jones’s Jukebox, on Los Angeles radio station KLOS, that the band will probably hit the road in 2018 for a special tour that will include entire performances of Hysteria every night. I will never understand how from the High and dry sound to some newer stuff. The biggest change of a great bands sound ever. Like a completely different band. If they stuck with that sound from high and dry through their whole catalog, they may have been bigger than Priest!! Of coarse, I like Pyro and Hysteria but when you got such a great sound like High and Dry, you dont change it!! Its like Randy Roads going back to Quiet Riot after Blizzard. I do know Diary was mostly written during the Blizzard era. Meant to respond to you, but wrote a new comment instead. See my longer post, but in general, you answered your own question when you said, “Like a completely different band”. In general, once Pete Willis and Steve Clark were no longer writing riffs for the band, and Rick’s drum sound had to change due to his accident, they essentially had to become a different band from the one that wrote High N Dry. The fact that they still were able to have huge success after that and not fall apart, speaks to their ability to adapt and change to some of the tough breaks life dealt them. I’m a Priest fan, but Def Leppard is the “bigger” band. Way more commercially successful. Regarding “High and Dry,” it’s actually my favorite Lepp album, but I think Joe is correct, we each latch onto a band or singer at different times. BTW, the Lepps had to change, Pete Willis was just not a sustainable guitarist, and they made a great choice finding Phil. Exactly! See, at least this guy (q33) gets it! Good points, good posts! I really liked everything Leppard did up to Slang. Everything after that, admittedly has not lived up. But honestly, how many bands do live up to their earlier stuff? And with Lep, there are direct reasons why they will never sound like they did on High N Dry, or even Pyro for that matter, even if they wanted to. Pete Willis and Steve Clark were the guitar sound of vintage Leppard. Sure Phil came in during Pyro and wrote some of the solos but that was still essentially a Willis and Clark led effort on guitars. With that said, Phil is a part of Leppard as much as anyone and Hysteria would not exist without him, but once Clark passed, any hope of getting those Leppard sounding riffs, died with him (would be sweet if Willis ever got a chance to come back and write another riff or two for them). Couple the loss of both guitar players with Rick’s accident, and as awesome as what Rick has done is, Lep has had to go with partially electric drums ever since, and that automatically makes anything past Hysteria sound even more produced (some of Slang being the exception because they used some real drums). And then finally, as great as Mutt was for Lepp, and make no mistake, Lepp is not the huge band without Mutt, he is the one that turned Lep, particularly Phil and Joe into the types that record albums note by note. It worked for Hysteria in the late 80’s but they have never gone away from that style of recording. Read any Vivian interview about Leppard’s writing process and you can tell it drives him crazy. Hoping his side projects with Last in Line and Riverdogs bleed a little influence into the next Leppard release, or atleast their recording process. For anybody that loves the early Lep catalog, go buy Retroactive. Half of it is b-sides from the Pyro and Hysteria days, and they still have a little more of that grit that I think most rock fans wished Lep would revisit. The track Wings of and Angel on their latest album is probably the song that has come the closest out of their recent albums.